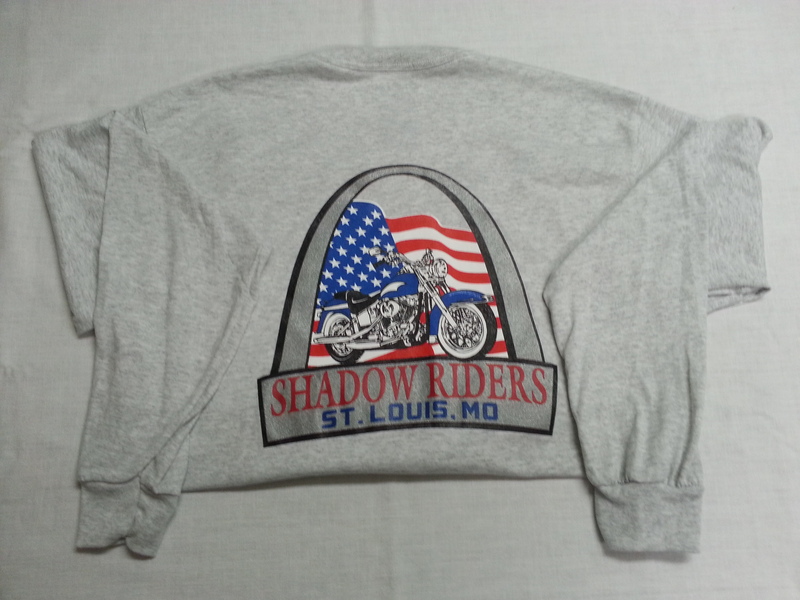 Shadow Riders Club of St. Louis All Brand Motorcycle Club Come Ride With Us! 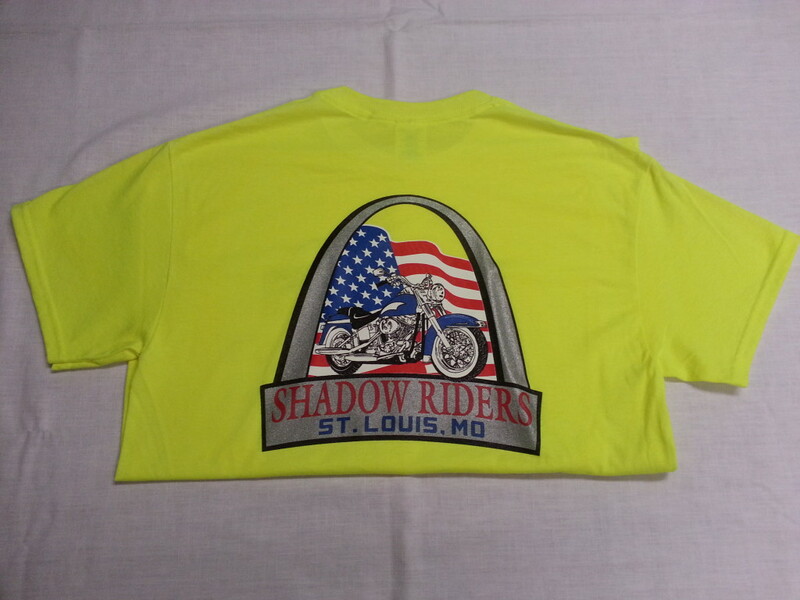 Group Riding Is What We Do! 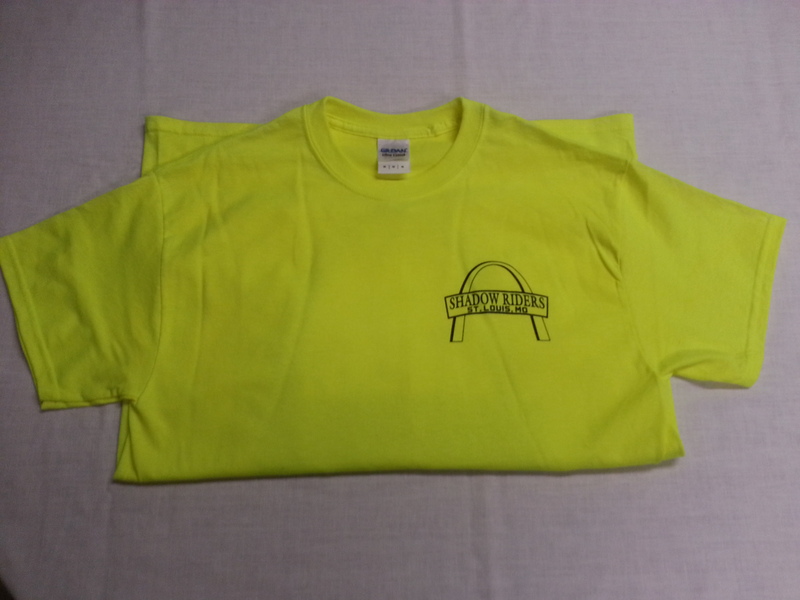 The SRC Shirt’s Available in Safety Yellow, short sleeve short-sleeved tees are 100% cotton. Grey, long sleeve as shown below. 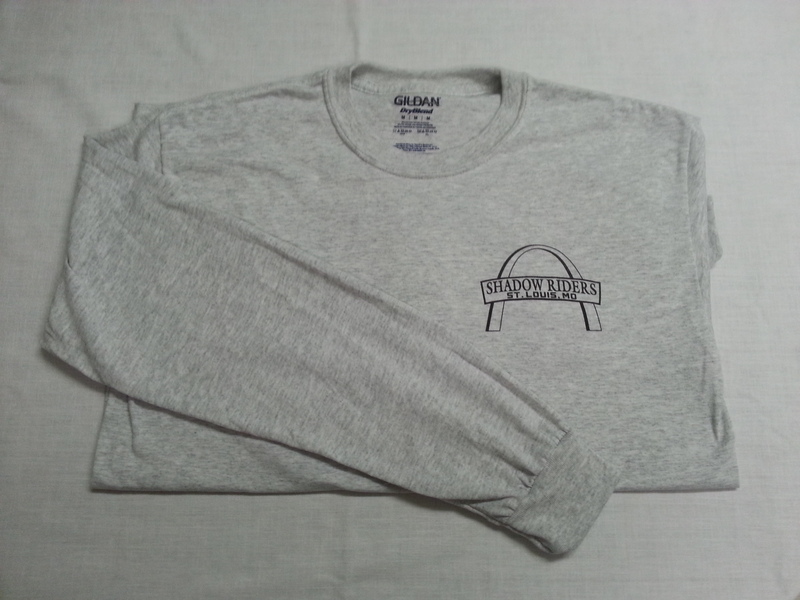 long-sleeved shirts are a 50/50 poly/cotton blend.